WOBURN, Mass. – March 21, 2019 – PRLog — Findability Sciences, a leading Big Data, cognition, and AI company, announced today a strategic investment in corporate memory company WorkDone™ Inc. WorkDone™ enables organizations to seamlessly automate business processes between their existing SaaS platforms with no user training or programming required. Its patent-pending technology, Expertise Capture™, uses machine learning to capture operational best practices which direct WorkDone Agents to complete repetitive back office tasks so that humans can do higher value work. WorkDone Agents interoperate to create systems of intelligence that preserve work heuristics so that no institutional knowledge is lost when an employee retires or leaves the company. Findability Sciences, a SoftBank Corp portfolio company, applies the power of big data, cognitive computing, and artificial intelligence (AI) in its core product: the award-winning Findability Platform®. The Findability Platform makes use of its proprietary technologies to add context to data and incorporates self-learning capabilities to deliver turnkey solutions to major global corporations in the insurance, retail, manufacturing, financial services, trading, healthcare, and transportation industries. The Findability Platform’s unique framework makes it possible for business executives to achieve AI competency in just weeks with minimal expense and without dependence on data scientists. WorkDone enables organizations to seamlessly automate business processes between major SaaS platforms (Sage Intacct, Salesforce, NetSuite, etc.) with no user training or programming required. WorkDone’s patent-pending technology, Expertise Capture, uses machine learning to train virtual processors to complete repetitive back office tasks so humans can do higher value work. WorkDone Agents interoperate to create systems of intelligence that preserve the corporate memory so that no institutional knowledge is lost when an employee retires or leaves the company. Findability Science’s CEO, Anand Mahurkar, will be a presenter at a session that discusses solutions aimed at the insurance industry. Advancements in artificial intelligence are enhancing all facets of the business of insurance. Mr. Mahurkar’s talk, “Predicting InsuranceFraud with AI,” will review how the convergence immense processing power, the abundance of big data available, and predictive artificial intelligence are drivers in creating a new generation of products that help insurance companies operate more profitably. “A combination of a new wave of thinking and newly developed AI technology enables insurance companies to enhance all facets of their business. The session will take place on Thursday February 14 at 4:30 PM at Moscone South in San Francisco. Findability Sciences is also participating in Think 2019 as a sponsor and will be exhibiting its product, the Findability Platform, at the expo. The auto-response engine facilitates customer interactions via emails and deploys natural language processing to streamline contact center and back office operations. WOBURN, Mass. – Dec. 16, 2018 – PRLog — Findability Sciences, a global AI solutions company announced that it has has launched FP Reply™ to complement its portfolio of AI solutions. FP Reply™ applies the cognitive capability of the Findability Platform® to automatically deliver actionable email messages in response to customer contact originating online. FP Reply™ allows customer service and support departments to reduce cost and increase efficiency by automating interactions with artificial intelligence. FP Reply’s email mechanism offers flexibility through asynchronous interaction. Delivering “always on” conversational computing to consumers in a manner that conforms to their schedules offers greater convenience and control by eliminating the need to remain on the phone or online to get the answers or information they’re looking for. Findability Sciences applies the power of big data, cognitive computing, and artificial intelligence (AI) in its core product: the award-winning Findability Platform®. The Findability Platform makes use of its proprietary technologies to add context to data and incorporates self-learning capabilities to deliver turnkey solutions to major global corporations in the insurance, retail, manufacturing, financial services, trading, healthcare, and transportation industries. The Findability Platform’s unique framework makes it possible for business executives to achieve AI competency in just weeks with minimal expense and without dependence on data scientists. A Softbank Corp portfolio company, Findability Sciences is also an investor in both a joint venture with Softbank and in a privately held predictive modeling technology company. Findability Sciences partners with leading technology providers and is part of the IBM Watson Partner Ecosystem. Headquartered outside Boston, MA, Findability Sciences serves its customers through offices in the United States, Japan, and India. WOBURN, Mass. – Sept. 21, 2018 – PRLog — Anand Mahurkar, Founder and Chairman of Boston headquartered Findability Sciences, has been accepted into Forbes Technology Council, an invitation-only community for world-class CIOs, CTOs, and technology executives. Mr. Mahurkar was vetted and selected by a review committee based on the depth and diversity of his experience. Criteria for acceptance include a track record of successfully impacting business growth metrics, as well as personal and professional achievements and honors. As an accepted member of the Council, Anand has access to a variety of exclusive opportunities designed to help him reach peak professional influence. He will connect and collaborate with other respected local leaders in a private forum. Anand will also be invited to work with a professional editorial team to share his expert insights in original business articles on Forbes.com, and to contribute to published Q&A panels alongside other experts. Finally, Anand Mahurkar will benefit from exclusive access to vetted business service partners, membership-branded marketing collateral, and the high-touch support of the Forbes Councils member concierge team. “I am very excited to join this elite group in the industry. I look forward to contributing to Forbes.com and my interactions with the fellow members. Platforms like Forbes Technology Council allows greater collaboration, sharing ideas and learn from its accomplished members” said Anand Mahurkar, who founded Findability Sciences, a SoftBank Corp portfolio company. Findability Sciences, a SoftBank Corp’s portfolio company, applies the power of big data, cognitive computing, and artificial intelligence (AI) in its core product: the award-winning Findability Platform®. The Findability Platform makes use of its proprietary technologies to add context to data and incorporates self-learning capabilities to deliver turnkey solutions to major global corporations in the insurance, retail, manufacturing, financial services, trading, healthcare, and transportation industries. Srinivasan “Balaji” Krishnamoorthy to lead the efforts. Enters agreement with two global leaders in their respective verticals. WOBURN, Mass. – Aug. 18, 2018 – PRLog — Findability Sciences, a leading product company in the area of Cognition and AI with its core offering, the Findability Platform® announced today opening of FS Labs, a new business unit to offer consulting services across several vertical markets it serves. The development signifies a strategic growth initiative by Findability Sciences, helping its clients design, develop, and deliver Artificial Intelligence and Cognitive projects and solutions. “In serving our customers, we saw an unmet need in the market that we are well positioned to address. While businesses are excited about the possibilities that exist in implementing AI solutions, they are often unsure of what approach to take and they don’t have an existing competency in-house. With 8 years of experience in building a market leading product, the Findability Platform®, FS Labs is a logical extension to our existing capabilities. This will improve time to market for our customers, reduce their capital requirements and help yield a faster ROI,”said Anand Mahurkar, CEO of Findability Sciences. Senior Vice President, Srinivasan “Balaji” Krishnamoorthy will be leading this effort. FS Labs taps into the knowledge of experts from Findability Sciences’ core research, software, and applications groups, as well as industry domain experts in areas including healthcare, financial services, retail, and manufacturing. With the support of FS Labs – clients are able to implement innovative business and technology solutions. Through requisite industrial knowledge, experienced consultants give businesses direction in finding the solution that best suits their needs, help in architect and deliver the technology needed for deployment. As the consulting arm of Findability Sciences, FS Labs also serves as an enabler to clients seeking to benefit from its winning product, the Findability Platform. 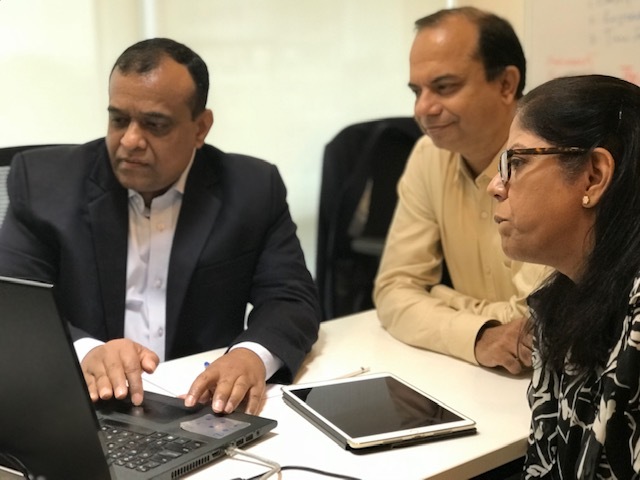 “Whether our customers need support on data intensive projects of their own or are looking to leverage the Findability Platform, FS Labs brings the expertise and best practices in Cognitive Computing and Artificial Intelligence,” said Srinivasan “Balaji” Krishnamoorthy SVP at Findability Sciences. Krishnamoorthy added that company has already entered into agreements with two new global customers. FS Labs has an experienced team of software developers, statisticians and data scientists. They posses core skills in the technologies including IBM Watson, Netezza, Sailfish, SPSS, SAS, Hadoop, Hortonworks, Cloudera and methodologies like regression analysis, Bayesian classifiers, Autoregressive Integrated Moving Averages along with machine learning techniques. Findability Sciences applies the power of big data, cognitive computing, and artificial intelligence (AI) in its core product: the award winning Findability Platform®. The Findability Platform makes use of its proprietary technologies to add context to data and incorporates self-learning capabilities to deliver turnkey solutions to major global corporations in the insurance, retail, manufacturing, financial services, trading, healthcare, and transportation industries. The Findability Platform’s unique framework makes it possible for business executives to achieve AI competency in just weeks with minimal expense and without dependence on data scientists. A Softbank Corp portfolio company, Findability Sciences is also an investor in both a joint venture with Softbank and in a privately held predictive modeling technology company. Findability Sciences partners with leading technology providers and is part of the IBM Watson Partner Ecosystem. Headquartered outside Boston, MA, Findability Sciences serves its customers through offices in the United States, Japan, and India. WHYNESS + FINDABILITY SCIENCES LAUNCH A NEW DATA INTELLIGENCE VERTICAL TO TAP INTO MARKETING’S FUTURE. Abhinav Verma appointed to lead the mandate. Whyness Worldwide, the integrated communication agency, has partnered with Boston-based Findability Sciences, a SoftBank portfolio company, to launch a new intelligence vertical. Abhinav Verma who is appointed as the director – digital, data and AI, will lead the vertical. He has previously led the digital marketing mandate at Airtel. Aviva Life Insurance, one of India’s leading private insurance companies, announced the launch of ALISHA, a Conversational Computing Solution (Chatbot), in collaboration with Findability Sciences, a cognitive and AI solutions company, headquartered in Boston, USA. ALISHA is powered by IBM Watson’s Conversation API and fulfils Aviva’s objective of providing meaningful insurance guidance anytime, anywhere. ALISHA serves as a guide to help customers choose suitable life insurance plans and solutions. The Chatbot, ALISHA – Aviva Life Insurance Self Help Assistant, is amongst India’s first few NLP (Natural Language Processor) powered Conversational Computing Solutions. It is able to interpret customers’ questions and direct the flow of the conversation to guide and assist customers, much like the way people interact and respond in natural language with human like interactions. ALISHA allows existing and prospective customers of Aviva Life Insurance to have easy access to information about various insurance policies 24/7 and round the clock instant response to their queries. As a leading Fintech, Aviva Life Insurance understands the power of technology and the introduction of ALISHA is a step ahead in simplifying things and taking customer experience to another level. ALISHA is now live on the avivaindia.com and Aviva India’s official Facebook page. “It was an honor to work with Aviva’s visionary team to make ALISHA a reality. With our revolutionary architecture of Findability Platform®, cognitive and AI applications like ALISHA are now easy to conceptualize and implement. ALISHA is a first of its kind solution for the insurance industry and will certainly offer a unique experience to Aviva’s customers,” said AnandMahurkar, Founder and Chairman of Findability Sciences. Findability Sciences is a Japan’s SoftBank Corp’s portfolio company. It has also formed a joint venture with SoftBank in Japan. SoftBank Telecom India along with Findability Sciences consulted Aviva on this implementation. ​Mumbai, (14 June 2018): Findability Sciences, a big data, cognitive, and artificial intelligence (AI) product company, won the prestigious 2017 IMC Digital Technology Award under the category of SMB IT products. The award was announced at the IMC Digital Technology Awards function hosted in Mumbai on June 14th, 2018. The IMC Awards recognize achievements across all areas of the IT industry. Winners of each award are selected by a panel of executives representing the wide variety of services present in the IT landscape. The awards are designed to celebrate innovation through technological solutions and applications that are transformative to business. The Findability Platform® is Findability Sciences’ core product and is deployed across various verticals in global markets to solve critical business challenges. “It is a great honor to receive this award. As the abundance of data continues to accelerate, so does processing power and the advancement of artificial intelligence. Our cognitive and AI technologies leverage this convergence to deliver the improved insights that businesses demand. Today our solution helps businesses create custom leading indicators to predict outcomes with a degree of accuracy that has only recently become possible. This drives efficiencies by allowing executives to more effectively allocate financial and human capital.” said Anand Mahurkar, Founder and Chairman of Findability Sciences. After receiving the award on behalf of Findability Sciences, Padma Krishnamoorthy, Managing Director of Findability Sciences’ India operations, said “We are thrilled to receive this award, which recognizes the entire Findability Sciences team, whose hard work, passion, and skills have improved business outcomes for many customers”. Sanjay Deshmukh, EVP, and Vivek Vij, AGM, were among the attendees at the function in Mumbai along with Akira Saito of SoftBank Telecom Europe. Findability Sciences applies the power of big data, cognitive computing, and artificial intelligence in its core product: the Findability Platform®. The Findability Platform makes use of proprietary technologies to unify and add context to data, and can incorporate predictive capabilities to deliver cutting edge solutions across industries. Help HR executives improve collaboration, morale, and retention by acting on personality insights related to influence, engagement, values, and needs. WOBURN, Mass. – June 19, 2018 – PRLog — Findability Sciences, a big data, cognitive, and artificial intelligence (AI) product company headquartered in Boston, announced today that it has appointed Jaspreet Bindra to its advisory board. Mr. Bindra is a renowned expert in digital transformation and blockchain with 22 years of experience in launching and leading new practice areas within large companies. With expertise in new digital and tech-enabled business models, Jaspreet brings his years of success in creating new customer experiences and a forward-thinking culture to organizations. “What Jaspreet contributes to Findability Sciences is his perspectives built on years of acting in a Chief Digital Officer capacity. His ability to understand and deliver complex AI solutions is noteworthy and will further accelerate the momentum of the adoption of the Findability Platform® globally,” said Anand Mahurkar, Founder and Chairman of Findability Sciences. Findability Sciences, a SoftBank Corp portfolio company, has also formed a separate joint venture with SoftBank in Japan. The Findability Platform® is Findability Sciences’ core product and is deployed across various verticals in global markets to solve critical business challenges. “Every company, regardless of sector, needs to become a technology company. The technology Findability Sciences has successfully developed and deployed for its many customers can be transformative to businesses. A key advantage of the Findability Platform is its ability to offer a powerful AI product as a turnkey solution that requires minimal customer touch. I am very excited to work with Findability Sciences’ global team to leverage its unique strengths and to fortify its market leadership” said Jaspreet Bindra. Jaspreet is currently also an advisor to Mahindra Group and an Adjunct Advisor to IDC. His upcoming book about digital transformation is being published by Penguin Random House. Findability Sciences applies the power of big data, cognitive computing, and artificial intelligence in its core product: the Findability Platform®. The Findability Platform makes use of proprietary technologies to unify and add context to data and can incorporate predictive capabilities to deliver cutting edge solutions across industries. WOBURN, MA / ACCESSWIRE / October 5, 2017 / Japan’s SoftBank Corp. and Findability Sciences Inc. today announced that they have entered into a definitive agreement to establish a joint venture (JV), which will offer a proprietary software product developed by Findability Sciences. The product is known as the Findability Platform® and will be marketed in the Japanese market by the JV. Headquartered in the Boston area, Findability Sciences Inc. is a big data, cognitive sciences, and artificial intelligence technology services and consulting company. SoftBank will offer the Findability Platform®: a self-learning technology platform that ingests large data sets to provide actionable insights, predictions, and human-like intelligence. The joint venture operations will be managed from Findability Sciences’ new facilities in Tokyo, Japan. “We are very proud to form a joint venture with a world-renowned tech giant like SoftBank. This will significantly enhance our visibility to the marketplace and our ability to continue offering innovative solutions to our growing customer base,” said Anand Mahurkar, Founder and Chairman of Findability Sciences. “SoftBank’s selection of Findability Sciences, first as an ecosystem partner and subsequently as a joint venture partner, speaks volumes about our people, processes and technology, Findability Platform®,” added Mr. Mahurkar. SoftBank also made a strategic investment of approximately $7.4 million with the aim of strengthening its offerings in the growing field of big data, analytics, and artificial intelligence. SoftBank holds a controlling 51 percent stake in the joint venture, with Findability Sciences Inc. owning the 49% balance. The joint venture will serve Japanese customers in various verticals including Human Resources, Insurance, Banking & Financial Services (BFSI), Retail, and Manufacturing. Findability Sciences’ India operation provides a dedicated facility to support the joint venture by providing data science and software development activities in tandem. Findability Sciences anticipates a need to fill several new positions in its United States, India, and Japan offices. “We are very excited to start our new operations in Japan. We are also working on expanding our presence into other countries,” added Mr. Mahurkar. In August 2017, Findability Sciences expanded its presence in the Northeast by opening a new facility in Woburn, MA. In September 2017, Findability Sciences K.K. began operations in Roppongi area of Tokyo, Japan. The company will be opening its new Center Of Excellence (CoE) in India, later this month. About Findability Sciences: Findability Sciences is a global Big Data and AI company providing innovative solutions in the United States, Europe, and India market since 2010. Findability Platform® is its flagship offering into retail, manufacturing, BFSI, higher education, and health-care businesses. Findability Sciences has offices in Mumbai and Aurangabad in India. To learn more, please visit www.findabilitysciences.com. Expansion into new facility at Woburn, MA to meet growing demand of it’s BigData and AI product, Findability Platform. Aug. 29, 2017 — Findability Sciences Inc., a leading BigData, Cognitive and AI solutions company announced today, that it has moved its corporate office and customer support center to a new and larger space in Woburn, Massachusetts. This move in to a state-of-art facility is to support its growing business and development activities. The new corporate HQ is housed at TradeCenter 128, a flagship property offered by Cummings Properties and is the 2nd largest single building ever developed by Cummings Properties. 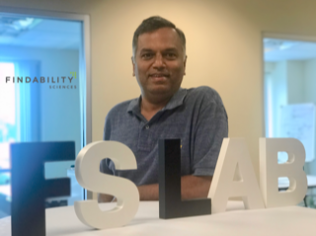 “We are very excited to relocate to TradeCenter 128, ” said Anand Mahurkar, Founder & Chairman of Findability Sciences.”Right now FS is actively recruiting and will be adding a number of positions at our Woburn location. This state-of-art facility will offer creative working space for existing and incoming talent” Mr. Mahurkar said while giving quick tour of the new facility to a select group of customers and partners. “Tradecenter 128 is a perfect location for employees, customers and partners. It has some of the best facilities, ample of free parking, restaurants and an ecosystem for an innovative company like Findability Sciences to continue to grow” added Mr. Mahurkar. Findability Sciences is also creating new facilities in India and Japan to support its growing global business. Agreement Paves Way for Health and Wellness Applications Delivered by Combining Big Data Analytics, Artificial Intelligence and Predictive Analytics from Air Quality Data Captured by Nano Gas Sensors. La Jolla, California, and Waltham, Massachusetts, April 18, 2017: AerNos, Inc, and Findability Sciences, LLC today announced that they have entered into an agreement to provide consumers with personalized, actionable health and wellness information based on individual exposure to harmful chemicals in the air. With more than 90% of urban populations exposed to unhealthy air quality, the collaboration will combine the technology innovations and expertise of both companies to provide solutions to a serious public health issue. Scientific research links air pollution exposure to a wide range of long term health effects including asthma, lung diseases, cardiovascular diseases, cancers, brain disorders and other illnesses. According to the World Health Organization (WHO) and Environmental Protection Agency (EPA), children and the elderly are most vulnerable to health damage caused by harmful gases. Scientists are also concerned about exposure to fossil fuels and other common pollutants during pregnancy and early in life, which can lead to brain development issues, especially in fetuses and young children. Actionable information could be a valuable tool in educating the public about reducing exposure to harmful airborne chemicals, particularly during the most vulnerable stages of life. AerNos and Findability Sciences will use a real-time secure data-sharing connection to transfer air quality data quickly and safely. This information will include geolocation based gases, their concentrations and other location based micro environments. Carbon monoxide, ozone, formaldehyde, gas leaks, indoor VOCs and other major indoor and outdoor air quality gases will be processed by the Findability Platform®, a proprietary solution combining the power of big data, cognitive computing and AI. Findability platform® architecture and framework will integrate AerNos Multi Sensor Delivery Platform™ (AX-MSDP) gas data along with consumer health profiles and data from other sources to provide specific individualized actionable content. Findability Sciences is a partner with IBM and uses IBM Watson APIs. These APIs will support creating a robust technology offering able to detect personal gas exposures, predict outcomes, and provide solutions to prevent or minimize health and wellness impacts. Sources of harmful gases include vehicle emissions, fuel burning combustion appliances, household cleaning products, personal care products, furniture, fireplaces, gasoline stations, industrial facilities, power plants, wildfires, vegetation, gas leaks and many more. AerNos nano gas sensors are tiny, detect multiple gases simultaneously and are low powered System on Chip (SoC) designed to easily integrate into the Internet of Thing (IoT) devices. These sensors can detect gases and their concentration for various applications including environmental monitoring, food safety and spoilage, homeland security, industrial and manufacturing and healthcare applications. The collaboration between AerNos and Findability Sciences paves the way for intelligent actionable outcomes for applications far beyond environmental monitoring. Boston headquartered Findability Sciences is a leading boutique big data and cognitive solutions company with its flagship offering of Findability Platform®. Findability Platform® is a leading big data and cognitive architecture from Findability Sciences and since 2010 it is used by many industry verticals to solve unique business challenges by harnessing volume, velocity and verity of big data. La Jolla, California based AerNos develops application specific nano sensors based on its breakthrough and proprietary AerCNT™ Technology to detect harmful gases in the environment. AerNos nano gas sensors are designed to be easily integrated into consumer and commercial product lines such as standalone monitoring devices, non-stationary devices (drones, industrial robots, construction equipment, etc. ), modes of transportation, wearables, smartphones and the Internet of Things (IoT). SoftBank Partners With an U.S.- based AI Venture Company for Human Resource Support Analyzing Structured and Unstructured Data From Inside and Outside Companies. Stelae Technologies and Findability Sciences join hands to create a powered by IBM Watson solution for content transformation. Bangalore, India and Boston, USA – August 2nd, 2016: Stelae Technologies and Findability Sciences announced today that they have entered into a partnership under which Stelae Technologies’ software Khemeia™ will be integrated into the Findability Platform® to acquire unstructured content. Both Stelae Technologies and Findability Sciences are IBM partners, Findability Platform® uses IBM Watson APIs through IBM Bluemix to create cognitive features that will be enhanced by the use of Khemeia™. Stelae Technologies is the winner of IBM GEP Smart Camp India and APAC in 2014. We are very excited with the possibilities of working with Stelae technologies. Our solution will revolutionize the content management and research business. Findability Platform® is now uniquely positioned to provide answers from unstructured content by integrating Khemeia™’s capabilities. Boston headquartered Findability Sciences is a leading boutique bigdata and cognitive solutions company with its flagship offering of Findability Platform®. Findability Platform® is a leading big data and cognitive architecture from Findability Sciences and since 2010 it is used by many industry verticals to solve unique business challenges by harnessing volume, velocity and verity of big data. Findability Platform® and Khemeia™ have unique capabilities in their respective domain. Combining these two technologies with support from cognitive APIs of IBM Watson create a very robust technology offering to manage, maintain and find answers in natural language queries by mixing and understanding both unstructured and structured content. Forrester Research, Inc. has just released the Forrester Wave for Big Data Hadoop Cloud Solutions. IBM placed in the leaders category with IBM BigInsights on Cloud. Hadoop was a groundbreaking technology that transformed the way organizations dealt with big data. According to enterprises surveyed in Forrester’s Global Business Technographics Data And Analytics Survey, 2015, 40 percent of enterprises have already added Hadoop to their mix of technologies supporting data warehousing and business intelligence, and 20 percent plan to do so by the end of 2016. Hadoop has grown and evolved since its inception 10 years ago, and with the explosion of open source data and analytics tools, the Hadoop ecosystem has rapidly expanded. As the technology continues to mature, organizations are increasingly interested in off-premises deployment options to augment their systems architecture, just as they do for any other data management technology such as databases. Cloud and managed services for Hadoop can help accelerate time-to-value of certain big data projects. Businesses want to deliver a seamless hybrid implementation across on-prem and cloud for data ingest, high availability and disaster recovery. In The Forrester Wave™: Big Data Hadoop Cloud Solutions, Q1 2016, it’s noted that over half of the respondents will increase their big data cloud investment by at least 5 to 10 percent. So how do you evaluate which Hadoop cloud solution is right for your business? Forrester assessed the Hadoop Cloud solution landscape and named leaders across three evaluation criteria: current offering, strategy and market presence. IBM is a leader in the The Forrester Wave™: Big Data Hadoop Cloud Solutions, Q1 2016. IBM’s Hadoop Cloud solution, BigInsights on Cloud, can be deployed on any of the 17 IBM’s Global Data Centers. IBM BigInsights on Cloud offers the most complete set of tooling for analytics on Hadoop. With IBM BigSQL for queries over structured data, Big R and Machine Learning for Big R for statistical analysis, and Text Analytics for analytics on unstructured data, clients can extract insight from data at scale, with speed and efficiency. Municipal Parking Services of Boston, Massachusetts is harnessing the power of Hadoop to make parking easier for consumers, and easier to enforce for cities. MPS has connected devices that help drivers find, park and pay for available spots. These meters provide information about the local area, and use cameras and sensors to capture evidence of infringements. MPS wanted to analyze data from these meters to develop smarter parking services, but the sheer volume of data, including 18,000 sessions a day, made this difficult to achieve. “IBM BigInsights allows us to really dig deeper into big data, combining the power and flexibility of Hadoop with enterprise-class tools like dashboards and text analytics”, says Anand Mahurkar, CEO and Founder, Findability Sciences. MPS deployed the Findability Platform, a sophisticated reporting and analytics solution developed by Findability Sciences and powered by IBM BigInsights. Findability runs in the cloud on IBM SoftLayer and analyzes masses of data not just from MPS’s army of intelligent parking meters, but also from external sources such as the weather and local traffic patterns. More importantly, the growing amount of data they can produce offers unprecedented value and insights. Learn more about how IBM BigInsights on Cloud is a leader in The Forrester Wave™: Big Data Hadoop Cloud Solutions, Q1 2016, and how you can get started today. Healthcare is seeing a huge influx of data from many different sources. With so much data comes the extraordinary potential of predictive analytics that can help with prevention, wellness management, fraud detection and more. This podcast offers a great opportunity to learn more about the power of predictive analytics. How predictive analytics could reduce health insurance fraud Quite a bit has been written recently about healthcare fraud. And just recently, the FBI seized 15 million assets in a healthcare fraud investigation. The main reason for such attention in this area, however, is that even without fraudulent practices in healthcare, it is one of the most expensive industries in the US. Findability Sciences is the developer of a big data technology product known as the “Findability Platform™”. Soft10 Inc. is the creator and developer of unique automatic prediction technology software: “Dr. Mo”. Both companies plan to offer a joint solution across industry verticals, hosted with IBM Cloud. Waltham, MA, January 4, 2016 — Findability Sciences, a global Big Data and Cognitively computing technology company headquartered in Waltham, MA, announced today that it acquired equity of Soft10 Incorporated and formed strategic alliance to tackle the big data market. Soft10 Inc. is a Boston based company founded by Dr. Milorad Krneta in 2013. He is the inventor of Dr. Mo, the world’s first automatic prediction technology. Dr. Mo is a powerful, self-learning technology that is poised to bring the power of big data and predictive modeling into the hands of every company collecting data, now or in the future. Findability Sciences plans to integrate Dr. Mo with it’s Big Data solution, Findability Platform™. Dr. Milorad Krneta, founder and CEO of Soft10 said “Dr. Mo is designed with every business in mind. If you have data, we want you to be able to get the predictions and decision-making ability out of it to improve your business. That is exactly why Dr. Mo was created. With Findability Platform™, Dr. Mo can now use combination of structured and unstructured content, giving businesses predictive insights, decisions in real-time. Everyone has, or can get access to data, but what good is data if you don’t use it to predict, decide “. Cobalt Venture LLC, a subsidiary of Blue Cross Blue Shield of Kansas, has already invested in Soft10 and expects use of Dr. Mo across Blue Cross Blue Shield affiliates. “Our strategic partnership with Findability Sciences now gives us the unique ability of offering the combination of the best Predictability and the best Findability,” said Johanne Larouche, President of Soft10 Inc.
“Combined with our award winning Findability Platform™, we are now be able to offer a very powerful, self-learning technology that is poised to bring the power of big data and predictive analytics into the hands of every company collecting data.” added Mr. Mahurkar. Dr. Mo is currently offered as Software As A Service (SaaS) and is hosted in IBM SoftLayer’s Cloud. Findability Sciences plans to offer Dr. Mo, automatic prediction analytics capability across industry segments including; retail, financial services, agriculture, consumer goods, non-profit organizations, education, banking, healthcare and media. An ecosystem of joint venture and group companies allows Findability Sciences to bring unmatched domain expertise along with innovative technology solutions to each vertical. David Lawson, CEO of NewSci, commented on this announcement, “Over the last couple of years we have gained traction with our customers by providing them the unique ability to unify all of their structured and unstructured data using the Findability Platform. With Dr. Mo, we can now offer industry leading prediction capabilities on top of that unified data.” NewSci LLC (http://NewSci.co) is a Findability Sciences’ group company focused on offering big data analytics solutions to nonprofit organizations, educational institutions, and healthcare systems, enabling them to better engage with their constituents, increase fundraising, and reduce operational expenditures. Brad Steinwede, CEO, All In A Day LLC, another group company of Findability Sciences, which offers an experiential marketing platform, Ta-Dah, said “ This partnership now gives us the ability to give automatic and accurate predictions from the engagement data we are able to generate from consumer engagement on Ta-Dah (http://ta-dah.today).For years CMOs have been searching for this level of analytics from their campaigns, but no technology could offer it. Now we can!” Ta-Dah is hosted on the IBM Cloud just like the Findability Platform™ and Dr. Mo. Findability Sciences is an IBM Watson EcoSystem Partner, IBM Analytics Partner and IBM SoftLayer Cloud Partner. The company’s strategic partnership with Soft10 now allows Findability Sciences to provide Dr. Mo, self-learning capabilities on structured data side. The company also uses IBM Watson Technology for analyzing unstructured content. Findability Platform wins CorporateAmerica's Software Technology Award for 2015 as "Best Data Integration Framework"
Company launched its big data application for the farming industry powered by Findability Platform®. Company also appointed Darren Betz on its advisory board to guide its journey into the agriculture sector. WALTHAM, Mass. – Nov. 20, 2015 – PRLog — A leading BigData & Cognitive computing technologies solution provider, Findability Science, announced the launch of its solution for the agriculture sector. This solution will be offered as customization of its flagship offering of Findability Platform®. While making this announcement, company CEO, Anand Mahurkar said, “Like every other industry, agriculture sector is also poised to get benefited from the big data and cognitive technologies in this era of cognitive computing. May it be the weather data, supply chain data, animal health data, crop data, fertilizers data, nutrition data, consumer demand related data or consumer feedback, all this data is available and currently under utilised to gain maximum benefits. Using our technology we are very excited to offer unique ability to collect, store and analyze large volumes of data from varied data sources to offer insights to farmers, state departments, universities and researchers.” Findability Sciences is an IBM Watson™ Ecosystem partner, and Findability Platform® is powered by IBM Analytics and IBM Cloud. Company offers services to various verticals like Retail, Banking, Government Agencies, Nonprofits, Publishing and Brand Managers. “We are also very excited to welcome Darren Betz on our advisory board. His knowledge on the needs of the sector is going to immensely help us in providing cutting edge solution for unmet needs”, added Mr. Mahurkar. Company plans to market the solution to state agencies, universities and research organizations, globally. “For example, if we take the beef industry, the annual economic impact in United States alone is roughly $44B in farm gate receipts. Farmers, state agencies and the entire supply chain today operates with minimum to no data-insights. Technologies like Findability Platform® and IBM Watson™ offer tremendous potential for utilizing unused historic & ongoing data, to provide every single participant in the food chain, insights which can improve the quality of agriculture products, improve operational efficiencies and reduce wastage” said Darren Betz. Mr. Betz will be guiding the go to-market strategy and product implementations, globally. “I am very excited to join on Findability Sciences’ advisory board and be part of this exciting technology”, added Mr. Betz. The solution will enable farmers, researchers, scientists and consumers to take informed decisions by having access to valuable insights on their handheld devices with ability to ask natural language questions. Findability Platform® unifies structured and unstructured data, seamlessly, to offer unique insights. Company is making the solution available in United States, Europe, Middle East and Asia. For more information on Findability Scieces visit www.findabilitysciences.com. ARMONK, NY – 15 Jun 2015: IBM (NYSE:IBM) today announced a major commitment toApache®Spark™, potentially the most important new open source project in a decade that is being defined by data. At the core of this commitment, IBM plans to embed Spark into its industry-leading Analytics and Commerce platforms, and to offer Spark as a service on IBM Cloud. IBM will also put more than 3,500 IBM researchers and developers to work on Spark-related projects at more than a dozen labs worldwide; donate its breakthrough IBM SystemMLmachine learning technology to the Spark open source ecosystem; and educate more than one million data scientists and data engineers on Spark. Silicon India Names Findability Sciences as among 20 most promising software companies. Findability Sciences: Data Driven Software Solutions Date: Tuesday , June 09, 2015 With the explosive use of social media and mobile, critical business information is spread across the systems, mostly outside of the corporate firewall. Irrespective of their size, organizations today face the challenge to identify the right information across the systems, collating them in cost-effective way and run deep analytics to find the insights for engaging and serving customers better. Findability Sciences was founded in 2010 with a vision to help organizations to meet new challenges. Company has developed Findability Platformï¿½ ï¿½ a robust, scalable and multi-module big data platform using IBM Biginsights and IBM Watson Explorer. Findability Platformï¿½ has unique ability to connect internal and external social data and understand both structured and unstructured content equally. With this, Findability Platform identifies \’Digital Body Language\’ for individuals and their Influential Score. With social media analytics, Findability Platform identifies the \’Brand Karma\’ and provides actionable data to improve brand reputation. With text and predictive analytics, Findability Platform can predict customer behavior and identifies the potential customer at risk or defaulters. Further using cognitive capability of IBM Watsonï¿½, Findability Platform identifies customer persona which is helping organizations to offer solutions that cater to their customer\’s need and values. \”Findability Platform is industry agnostic and can be deployed for any data centric operations. Its inbuilt algorithms provide actionable insights. This helps our customer to start utilizing the data effectively and get return on investments. We are working with IIT Mumbai in helping them connect with their alumni,\” says Sumit Agrawal, Vice President, Findability Sciences, while highlighting key benefits of the platform. Offered as in-premise or on cloud, Findability Platform is the most advanced big data solution available today as Software as a Service (SaaS). \”Utilizing the power of cloud, our platform is a powerful system of insights,\” adds Padma Krishnamoorthy, Managing Director, Findability Sciences, who oversees company\’s India Operations. Leading Cognitive Solution Provider Findability Sciences is a leading IBM Watson partner and has developed solutions using Watson. Impact Measurement and Analysis, a solution powered by IBM Watson, is helping organizations measure the impact of their social investments. Another solution, Dapprdoo is human centric technology for retailers to solve fashion and dressing related dilemmas of its customers. \”We aim to democratize the knowledge of fashion using the cognitive power of IBM Watson. We are creating \’fashion content cloud\’ which will be used by retailers for giving access to its consumers, merchandisers and in-store assistance,\” adds Suresh Shakkarwar, Vice President ï¿½ Cognitive Computing Excellence Center, Findability Sciences. System of Engagement Findability Sciences also provides \’Customer Engagement solution\’ to organizations. Engagement.Digital is an interactive social marketing solution, which is used by leading brands to engage with their customers. Engagement.Digital generates the instant buzz about a company\’s brand by crowd sourcing the content about brand on social media and share on multiple channels. \”Integrated with Findability Platform, organizations can improve their \’Brand Karma\’ and grow customer loyalty by using Engagment.Digital as their System of Engagement,\” adds Sumit. Life at Findability Sciences \”We are an experienced young company and believe strongly in innovation and creativity. We all contribute to product ideas. Employees and customer satisfaction is our everyday focus,\” says Padma. Findability Sciences\’ strong offerings have made them the go-to provider for all analytical and data-driven needs. Company helps wide range of businesses \’Recruit, Retain and Grow\’ their customers using power of data. Sugar-Integrated Application Selected as Best Entry in the “Beyond CRM” Category at SugarCRM’sSugarCon 2015 Conference Waltham, MA – May 1, 2015 –Findability Sciences today announced that its “Customer Persona App” was chosen as Best in Class in the “Beyond CRM” category at SugarCRM’s fourth annual App Throwdown competition. SugarCRM Inc., the company that enables businesses to create extraordinary customer relationships with the most innovative, flexible and affordable CRM solution in the market, hosted the App Throwdown competition at its SugarCon 2015 conference in San Francisco. The App Throwdown competition spotlights innovative applications that extend the Sugar platform, and highlights the strong partner ecosystem SugarCRM has created to help its users support their customers across their entire customer journey. Six “Best-in-Class” winners were selected by SugarCRM executives across five categories. Findability Sciences, an IBM Watson® Ecosystem partner, has integrated IBM Watson® with SugarCRM to offer customer personality insights using Findability Platform’s capability of combining structured and unstructured data, and identifying the customer persona to manage customer relations effectively. With Customer Persona App in SugarCRM, users can better understand their contact’s personality, their purchase motivations & values and find related contacts and account managers to successfully manage customers with similar personality traits. “Every year we see increased excitement and competition for the App Throwdown awards,” said Clint Oram, founder and Chief Technology Officer for SugarCRM. “For us, this is a great occasion to spotlight the innovation and skill of our partners, who have created a broad range of world-class solutions that extend and enhance the Sugar platform. Our hearty congratulations to Findability Sciences for playing a leading role enabling Sugar users to build extraordinary customer relationships.” “I would like to thank SugarCRM team for organizing such an exciting competition to bring ‘best of the breed’ applications to the forefront” said Anand Mahurkar, CEO of Findability Sciences. “SugarCRM is at the core of our offerings to our customers. The open architecture of SugarCRM allows us to combine the latest innovations like IBM Watson® and provide an insightful system of engagement to our customers. We are very excited to get this recognition for our Customer Persona application, powered by IBM Bluemix & IBM Watson®“ added Mr. Mahurkar. While receiving the award at SugarCon 2015, Sumit Agrawal, Findability Sciences Vice President of technology said “On behalf of my team, I am very happy to receive this recognition for our innovation. Big Data & Cognition is the new oil which fuels the engine of relationship management. Combining our Findability Platform and IBM Watson technologies with SugarCRM offers an exciting proposition to all the relationship managers to make use of data, understand their customer personality, purchase motivations and values to manage relationships at a more personal level”. Mr Agrawal demonstrated the Customer Persona application to the App Throwdown attendees. “More and more customers are interested in investing in systems of insights & systems of engagement. We strongly believe that SugarCRM offers a great system of engagement for customers & because of its open architecture it allows seamless integration with the systems of records and systems of insights, like our big data platform, Findability Platform®” Added Mr Agrawal. About Findability Sciences Findability Sciences is a leading big data and cognitive computing technology company founded in 2009, headquartered at Waltham, MA. Its flagship product Findability Platform® is used by many customers in different verticals like publishing, higher education, retail, and infrastructure. NewSci LLC, a Findability Sciences group company offers solutions to Nonprofit sector. To learn more, visit Findability Sciences or follow @fsci. About SugarCRM SugarCRM enables businesses to create extraordinary customer relationships with the most innovative and affordable customer relationship management (CRM) solution on the market. By placing the individual at the center of its solution, SugarCRM is putting the “i” in CRM and empowering people at all levels of an organization to better understand and engage with customers. Based in Silicon Valley, SugarCRM is backed by Goldman Sachs, Draper Fisher Jurvetson, NEA and Walden International. More than 1.5M individuals in over 120 countries rely on SugarCRM. To learn more visit SugarCRM or follow @SugarCRM. NOTE: SugarCRM and the SugarCRM logo are registered trademarksand SugarUX is a service mark of SugarCRM Inc. Third-party trademarks mentioned are the property of their respective owners. IBM BigInsights Analyst will include IBM’s SQL engine and IBM’s intuitive spreadsheet and visualizations to find data quickly and easily. On average, millions of SQL queries are run each year. With BigInsights Analyst, the efficiency of these queries has been shown in some cases to improve by approximately 2x to 4x on Apache Hadoop depending on the shuffle size. The ANSI compliant SQL means queries can run unchanged against Hive, HBase and relational databases. IBM BigInsights Data Scientist will deliver a new machine-learning engine that automatically tunes its performance over large-scale data to find interesting patterns– plus over a dozen industry-specific algorithms such as Decision Trees, PageRank and Clustering to help tackle complex problems out of the box. It will also provide native support for open source R statistical computing helping clients leverage their existing R algorithms, or gain from the more than 4,500 freely available statistics packages from the R community. IBM BigInsights Enterprise Management will introduce new management tools for clients to realize faster time to results. Designed to help allocate resources and optimize workflows, these tools will allow deployments that can scale to large numbers of users and clusters, and will help satisfy high workload demand. These tools will provide multi-tenancy and multi-instance support in a cluster. Also announced today is IBM Open Platform with Apache Hadoop. Based on open source software, the platform will provide the necessary data access controls and authentication for an enterprise. We are also adding support for Apache Spark to enable new computing engines to facilitate interactive analytic applications. IBM is also sponsoring Big Data University and its new courses for Programming for Analytics and Data Science that cover machine learning. Big Data University addresses today’s lack of big data skills by delivering free online courses to a community of more than 230,000 registered participants around the world. These Hadoop solutions fit cohesively into IBM’s broader analytics platform to help deliver insight from data, when, where and how it is needed. The platform provides a full range of analytics and integrates Hadoop solutions as part of a warehousing and data architecture. In particular, the predictive capabilities of SPSS can build the predictive models, exercise machine learning and R in Hadoop, apply business optimization, and deploy these models into real-time business processes. “In our fast paced world, the ability to turn data into insight is the difference between success and failure,” said Beth Smith GM of IBM Analytics Platform. “With the announcements today, our ability to address the sophisticated needs of data scientists, to improve access for a broader community of analysts, and the surety of production scale will set in motion the next wave of value our clients expect from big data.” The new capabilities in IBM BigInsights for Apache Hadoop expand what is already the industry’s deepest portfolio of Big Data solutions, spanning software, services, research and hardware. IBM Analytics combines traditional data warehouse technologies with new Big Data techniques, such as Apache Hadoop, stream computing, data exploration, advanced analytics, enterprise integration and IBM Watson cognitive computing to create an integrated solution to embed the opportunity of Big Data & Analytics into every organization. IBM is also a founding member of the Open Data Platform (ODP) Initiative, a new industry association announced today to help drive collaboration, innovation, and standardization across Hadoop and big data technologies. For more information on IBM BigInsights for Apache Hadoop see http://www.ibm.com/hadoop. United States headquartered Findability Sciences appointed a veteran academician & software professional, Suresh Shakkarwar as Vice President to set up machine processing division to support cognitive solutions. MUMBAI, India — Findability Sciences® today announced appointment of Suresh Shakkarwar as Vice President of its operations in India. While announcing appointment of this key position, Padma Krishnamoorthy, Managing Director of company’s India operations said, “We are very happy to have a person with Suresh’s background join Findability Sciences. He has multidimensional experience in managing software development lifecycle and in depth understanding of data technologies. Over his 16 years of career as an academician, he has trained hundreds of students who are managing key positions in worldwide corporations. His academic research on programming and methodologies will come handy while he sets up machine learning and cognitive computing processes at Findability Sciences”. “It’s a unique opportunity to work with an innovative, and young company on the latest technology area”, said Suresh Shakkarwar. “I feel very excited to join Findability Sciences and work with its Global Team, Group Companies, Partners and Collaborators to deploy Contextual Data & Cognitive Computing Solutions, which will solve critical business challenges of the competitive business environment”, added Shakkarwar. Shakkarwar joins Findability Sciences from Ramco Systems Ltd, where he worked since 2007 and handled various senior level positions. Prior to working at Ramco, Suresh taught computer sciences and programming at a premier engineering school for 16 years. A graduate engineer, Shakkarwar has authored a bestselling book on software programming. “As we expand our delivery capabilities in India, Suresh’s addition to the team is a very strategic move by us”, said Sumit Agrawal, company’s Vice President. “Suresh brings us knowledge of people, processes and technology management. His experience in managing large scale implementations and customer service will be an added advantage, as we roll out our new Cognitive Computing Solutions to large organizations across the globe”, added Agrawal. Findability Sciences is a IBM® Watson’s Ecosystem Partner. Company launched, through its group company, NewSci LLC, its first cognitive computing application, IMA, for Nonprofit Sector powered by IBM Watson®. Findability Platform® is company’s leading product offering around Big Data & Contextual Data technologies. Company plans to launch additional product line during 2015 for Corporates & Retail Industry. Late last year company annouced opening of its its Center of Excellence for Cognitive Computing in Mumbai.Company has global operations in United States, Europe & India, with focus on Media & Communication, Brands, Nonprofit & Retail industry. The growing availability of cloud and SaaS resources has made starting a new venture more than simply less expensive. For many startups, the ability to use computing resources at low volumes for little or no cost in initial development stages has been the key to starting their ventures at all. In fact, building a business using a converged infrastructure from the very start allows ventures to approach their business technology model with the most advanced configuration available and be ahead of established companies. Anand Mahurkar, CEO & Founder, Findability Sciences, explains how his startup leveraged these services. Waltham, MA USA headquartered & a leading Contextual Data & Cognitive Computing Solution provider, Findability Sciences announced opening of its new Cognitive Computing Excellence Center in the heart of Mumbai city in India. We are looking for new kind of talent, which currently doesn’t exist in the market. We are one of the first software solution provider in India, which is innovating new products and solutions for the new world, where data is growing at unprecedented speed, every day. We are committed to investments in training of our resources & creating new generation of Data Scientist in our Mumbai center, added Sumit Agrawal, Vice President of the company. Findability Sciences is a IBM Watson Ecosystem Development partner and has launched its first Cognitive Computing Application through its group company, NewSci LLC in United States, which allows Social Impact organizations to measure impact of thier investments. We will be launching couple of new cutting edge application during the first quarter of 2015, which will solve business problems which we could never solve before with the technologies available with us then, added Ms.Krishnamoorthy. Mr. Agrawal further said that the new center in Mumbai will enable us to attract right talent with specific domain expertise. He also mentioned that company has already made few key management level recruitments and the new management positions will add bandwidth to company’s ability to take on more challenging tasks during 2015. Company plans to launch new product line which will solve critical business issues for retail, healthcare & large business houses. Findability Sciences has a development center housed in Software Technology Parks of India (STPI) Center in Aurangabad in Maharashtra. During 2015, company plans to expand it’s operations in Aurangabad city as well. IBM and Findability Sciences Tap the Power of Watson to Transform the Social Impact Sector. PRLog – Jul. 23, 2014 – TAMPA, Fla. — NewSci LLC, a leading provider of big data and analytics to nonprofit organizations, today announced Lehigh University, one of the nation’s premier research institutions, has selected the NewSci Findability Platform™ to glean insights from internal and growing external data sources like social media. Tampa, FL headquartered NewSci LLC today announced the launch of NewSci Labs to address new challenges in the world of big data for educational institutions, non-profit organizations and associations. PRLog (Press Release) – Jun. 10, 2014 – TAMPA, Fla. — At a time when the volume, variety, and velocity of information are exploding, organizations find themselves struggling to turn the data deluge into actionable knowledge. NewSci LLC created NewSci Labs to address the challenges of doing good in the age of Big Data. “As amazing as Big Data technology is, without the understanding of how to use it effectively, it is at best a novelty, and at worst a distraction. We created NewSci Labs to ensure our clients are able to fully realize the potential of this transformational technology,” said David Lawson, Co-Founder and CEO of NewSci. Jay Goulart, Co-Founder and Chief Data Artist of NewSci, stated, “With years of experience in understanding how to apply the knowledge and insights gleaned from data to the real-world challenges of the educational and nonprofit sectors, our team is well-positioned to help organizations harness the incredible power of Big Data. Leading schools, universities, non-profit organizations, consulting firms, and hospitals are currently in discussions with us to put NewSci Labs to work for them. ” NewSci Labs will have three primary focus areas – Engagement; Attraction; and Relationships. Each of the focus areas will have labs devoted to particular sectors and specialties. “Mission impact; admissions; relationship retention; information governance; and social engagement are just a few examples of what we will be doing,” added David Lawson. NewSci Labs will be producing a series of white papers and webinars to further education within the sector. NewSci LLC is a leading provider of technology to support Big Data, Contextual Data & Cognitive Computing. Their flagship product, the NewSci Findability Platform, is built on IBM Watson Foundations. IBM Big Data & Analytics Heroes is a program created by IBM to recognize and highlight big data and analytics industry thought leaders. This week’s hero is Anand Mahurkar, founder and CEO, Findability Sciences. Visit The Big Data & Analytics Hub to read a brief Q&A with Mahurkar, who views big data as a new way for managing businesses. Also, meet previous industry thought leaders and experts featured as Big Data & Analytics heroes. For the first time, we understand human insights from electronic data. When we started looking at internal transaction data, along with the social data an individual creates, you get deeper insights on behavior, influence, expectations and reactions. For example, at higher education institutes, we were able to free data from silo applications and discover hidden connections leading to new insights on their network relationships. From social media data, we uncovered people who are influencing or can influence our customers’ business. By tracking the sentiments, themes, phrases and tones we identified who can be an authority in a given subject and engage with them effectively.Should tomorrow’s generation acquire analytic skills, no matter the degree? Why or why not? There is a paradigm shift in the way every stream of life, society or business interacts with data, ranging from creation to consumption and delivery of outputs. Data is a new oil or soil. Analytics was considered as the domain of only IT people, or researchers. But for tomorrow’s generation, everyone needs to know the data so that they can run the businesses of the future. May it be small, medium or large, with the new oil there is less friction and farming in the new soil effectively bears sweet fruits for the businesses where the upcoming generation will be involved. So no matter the degree, everyone in the new generation should acquire data science (analytics) skills. These skills are going to be as basic as a language skill for any stream of education and foundational for becoming part of any business or organization. How can big data, combined with analytics, improve our world in 5 to 10 years? Data and content creation are now in the hands of the masses, ranging from schoolchildren, to stay-at-home parents, to business professionals. Earlier the content was generated by only a select few, inside the four walls of an office. The reporting and management of that information was based only on the data generated by this select few and, hence, it had a very narrow view of what businesses were supposed to know. In the next 5 to 10 years, with big data getting bigger and new analytics capabilities becoming available every day, the world is going to improve. We stand to see communities with less conflicts, better governance overall, unmatched law enforcement, better customer service, improved healthcare diagnoses, proactive health services and the value of money and overall well-being index of the world we live in , going up. “How do we make sure that in the new world, human insights are found from this big data?” That intriguing question was recently posed by Anand Mahurkar, CEO of Findability Sciences. The challenge is not inconsequential, and any number of clichés could be applied. On the surface, “finding a needle in a haystack” seems to be the most appropriate, considering that every day massive amounts of new information are generated worldwide. One example: the New York Stock Exchange reportedly captures 1 TB of trade information at every session. * And today people and organizations collect data in places they never have before, from man-made entities such as roadways and railways, supply chains, and shopping experiences to natural things such as rivers, weather, and livestock. Indeed, the processing power of today’s systems can find that needle in a haystack. However, unless the person looking for it is a seamstress on a deadline, that needle doesn’t have much value once it’s been found—that is, the search requires considerable effort for minimal return. Mahurkar believes the task can be simply stated as needing to figure out how to get “information at the right time, at the right cost.” The means involve using smart business approaches and technology to connect behavior, events, preferences, and influences to react to the market. For example, a big data analysis that links an impending global shortage of needles to seasonal high demand for handcrafted embroidery and a preference for needles plated with two-thirds platinum and one-third titanium alloy could yield a market opportunity. Finding the needle in a haystack has been redefined for today’s new value exchange. In the Big Data in a Minute video, “Digging Deep with Your Data,” Mahurkar briefly discusses what it takes to know the data that is required to trigger decision making. * Widely reported by a number of sources including The Drum, BBVA Innovation Center, and InformationWeek. Nonprofit organizations have unprecedented, new abilities to search all internal and external data through a contextual data engine offered by NewSci LLC. NewSci combines the power of search capabilities provided by the Findability Sciences platform (powered by IBM) and domain expertise in nonprofit fundraising with cognitive computing, which learns and interacts naturally with people to extend beyond what humans or machines could do on their own. NewSci penetrates and sorts the complexity of Big Data, so organizations can pose new, bold questions and receive highly reliable answers in quantity. The dividend for schools and colleges is limited only by the imaginations of those who ask the questions. NewSci was founded in October 2013 when David Lawson, CEO, and Jay Goulart formed a joint venture partnership with Anand Mahurkar, the owner of Findability Sciences, who has 20 years of experience in IT business solutions for global organizations. Lawson and Goulart have broad experience in fundraising consultation, including serving nonprofit clients through their own partnership, New Science of Philanthropy. With deep sector experience, Lawson and Goulart supply the expert guidance that enables nonprofits to formulate the questions that enable leadership to find and analyze unprecedented quantities of high quality information, enabling the creation and implementation of novel strategies to achieve highly specific, diverse goals spanning admission yields, philanthropic tendencies, leadership donor retention, etc. NewSci will help them find information on questions such as: “Who will apply? Why are they applying? What do they like? What are their concerns? What did they like during their campus visit? What are they telling their friends about the school? What are their philanthropic preferences? What will make them want to continue their support?” NewSci has already successfully completed “proof of concept” applications in major higher education institutions and private schools. NewSci’s corporate headquarters are in Tampa, where Goulart is based. Lawson is based in Tallahassee, and Mahurkar has offices in Boston and Mumbai. For more information on NewSci, visit www.newsci.co or contact David Lawson at 813.666.8899. April 27, 2014 Lowell, MA Anand Mahurkar, CEO of Findability Sciences, delivered speech at TEDxLowell on Big Data for Good. During his engaging speech, he presented examples of how Big Data can be used for doing social good and how Findability Sciences Lab is engaged in innovating ideas to do Good. By leveraging big data, today’s organizations can make sense of unstructured and structured data to well understand customer behavior. Research conducted by the Pew Internet Project indicates that as of September 2013, 73 percent of online adults use social networking sites, and 90 percent of 18–29 year olds use social networking sites.1 These statistics arguably provide a clear picture of where the world is headed. People are using social networks to forge and maintain friendships, and these comprehensive dialogues can be inundated with customer preferences and behaviors. All these social networks are capable of producing mounds of unstructured data—data that holds precious jewels of insight. Businesses need to harvest this data to pick out the nuances that previously could be obtained only through personal, face-to-face interactions and conversations. Today, customer sentiment is no longer just about what people buy or when they buy, but why they buy. Given that many view social peers as trusted advisors for hotel recommendations, product reviews, and other buying cues, the center of influence has widened significantly and cannot be pinned to any single buying influence. Anand Mahurkar, chief executive officer (CEO) of Findability Sciences, nicely summed up this social media experience by addressing connecting unstructured and structured content in “Digital Body Language,” an IBM Big Data in a Minute series video. “The way we are interacting with society, the way we are interacting with family is rapidly changing,” says Mahurkar. “And the insights—the human insights—which are aligning to that data are becoming very important for corporations to know it because accordingly they can react to the demands of the market and their consumers.” The organizations that can successfully mine social data to connect digital data with transactional data to understand the all-important why behind customer behavior can give themselves a competitive edge. Listen to Mahurkar discuss more about digital body language and share how organizations are embracing the shift to digital markets and personas. 1 “Social Networking Fact Sheet,” Pew Research Internet Project, Internet Project Library Survey, July 18 – September 30, 2013. Anand Mahurkar, CEO of Findability Sciences was one of the panelist during this event. We had a packed room with overflow rooms on the 2nd floor showing the livestream content of keynotes and panel discussions. Chris Lynch from Atlas Ventures kicked off the day with some great lessons for entrepreneurs and insights. Our panel discussion bringing together IBM, American Airlines and Constant Contact and their respective partners was something the audience found very valuable and informative. The startups shared their experiences (good and bad) providing a holistic view of the complete partnership. Victor Rosansky was able to convey some interesting secrets for entrepreneurs to be successful which piqued their interest to know more. Visit here to get a copy of his presentation and stay connected! You would think there was loads of information packed into these 2 hours but wait…there’s more!!! We then moved into our key component of the day – “Speed Mentoring”. 30 mentors were able to connect with almost 100 startups to provide some advice and get some information to foster some initial connections which they can follow up on. The short time allotted (5 mins) for each pair helped ensure we get most connections made in a short amount of time. That was by no means the only networking happening…people were able to avail of the all the meeting spaces, rooms and breakout areas to gather for a quick bite to eat or carry on follow up conversations. The seven breakout sessions were a natural flow from the networking lunch. Each of the sessions was well attended, and the leaders, who were subject matter experts in each of the areas provided the right intros to help get the conversations started. Findability Sciences helps its customers experience the 'joy of finding' says Anand Mahurkar, CEO and Founder. About 80% of data businesses need to leverage is found outside the firewall. Findability Sciences helps its customers experience the “joy of finding” says Anand Mahurkar, CEO and Founder. About 80 percent of data businesses need to leverage is found outside the firewall. Add to that the need to integrate the data from internal systems across the organization, and you start to get a picture of the information management problems organizations are dealing with. This is where Findability Sciences comes in. Anand says that they work predominantly in the higher education, non-profit, media/entertainment and healthcare industries, helping clients uncover valuable insights. Anand points out that social data has become increasingly important, especially given the growth in smartphones in recent years. For instance, if a customer moves from one part of the country to another, this may first show up externally on a network such as LinkedIn. Now a business can take this information and use it to amend its marketing and improve the customer service. Predictive analytics is also incredibly important in order to monitor the data body language of customers and respond as necessary when a customer acts like they are about to switch. Findability Sciences leverages IBM products Data Explorer and BigInsights for sentiment analysis. They also combine Sugar CRM with IBM technologies to offer solutions that manage multiple relationships across the enterprise. MUMBAI: Ravi Deshpande, former chairman and chief creative officer of WPP-owned Contract, has gone independent with Whyness, an integrated communications agency where he is the founder, chairman and chief creative officer. Deshpande says the seeds of the new venture were sown after he bought his first iPad in 2010. “I was fascinated with the idea of solutions made possible by the power of technology and design.” Even as he mulled over the possibilities Deshpande met his future partners Anand Mahurkar, founder and CEO of Boston-based Findability Sciences, a big data company with a back-end in India, and Clement Derock and Frederic Lalande, founders and creative directors at Seenk, a Paris-based design and branding specialist. In his new agency, Deshpande aims to have creative people and strategists working alongside design specialists and creators of digital technology. He believes such a model is unprecedented. “There isn’t an agency with the ability to build brands which has technology integrated into the same structure. Around the table there are four people: a strategist, a storyteller, a designer and a technologist.” Whyness will also be tapping into graduates from Ecole Intuit Lab, a design school run by Deshpande. He explains his choice of partners saying, “Findability converts big data into smart data. It’s handy in planning a campaign /to precisely know consumer behaviour, spot insights and build strategy.” Seenk, which counts Lacoste and BNP Paribas among its clients, will supply the aesthetic and design muscle. Deshpande is clear he couldn’t have implemented such a partnership-based structure within the confines of an ad agency. He says, “I wanted to do something very clearly future and technology-based, with a larger footprint and where I control the destiny of the entity myself.” Besides hiring for operations in Mumbai, Whyness has front offices in Paris and Boston operating out of Seenk and Findability, with business development as the key agenda. He envisages these offices developing into full-fledged operations within a few weeks. He intends the solutions offered by Whyness to transcend print, outdoor and television commercials, generally thought of as the stock in trade of the advertising agency business. The agency is 100% self-funded at the moment and is in the midst of pitching for assignments in the FMCG, retail and funded NGO space. “Going forward I might dilute 10%,” he says. With 6-7 projects including two international jobs, Deshpande says Whyness will break even in the first 12 months. Asked if Whyness is slightly ahead of its time, he says, “Indians always feel we are in the process of getting there and so anything innovative and sophisticated is postponed. I am on time…” This is not Deshpande’s first attempt at entrepreneurship. He had quit Contract to form Lemon in 2001, backed by Euro RSCG. He has learned a few lessons from that experience, he says. 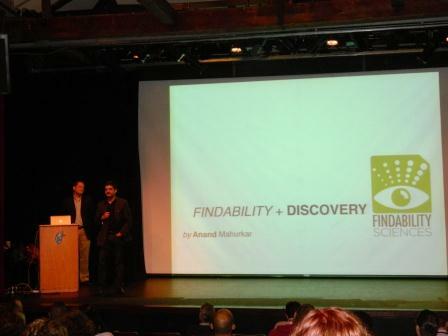 Newburyport, MA – Anand Mahurkar, Founder & CEO, Findability Sciences participated in a panel discussion on “Defining Discovery.” The panel was part of the “Firebrand Community Conference” for publishing professionals. Sep. 23, 2012 – Firebrand Community Conference was hosted in Newburyport, MA on September 19th and 20th. The annual conference is known for bringing together publishing and technology thought leaders to discuss the challenges facing the publishing industry. During the discussion, Anand Mahurkar outlined what he called ” touchpoints” for Discovery and contrasted technology touch points with traditional brick and mortar consumer experiences with books. Referring to David Weinberger’s recently published book – Too Big To Know, Anand added that better discovery can be achieved by applying effective filters for reducing the knowledge available.Discovery and Findability are often used interchangeably. While responding to the question on difference between findability & discovery, he separated the terms by saying findability is an art & science where as discovery is touch points in the minds of readers, based on which they make decision of purchasing a title. Anand suggested to the publishers, who are looking for better discovery use of online tools like NetGalley, Reefle, GoodReads etc. Findability Sciences develops innovative software solutions for companies reduce the pain of search and give joy of finding.